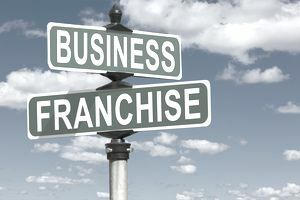 A number of conferences and meetings take place across the country each year that are designed to advise, guide and educate franchise owners and legal professionals who practice in the franchise industry. Here's the slate for 2018. January 18-20, Kay Bailey Hutchison Convention Center, Dallas Texas. "Join thousands of entrepreneurs and business owners at the Franchise Expo South, the premier franchise expo serving the Southwestern U.S., Latin America, and the Caribbean. Meet hundreds of proven franchised businesses. Every investment level." February 10-18, Phoenix Convention Center, Phoenix, Arizona. "We are expecting more than 4,000 franchise executives to join us for this program. Our annual convention will be packed with educational sessions, roundtables, summits, and mini-super sessions, all to give you the latest trends and information in the areas of franchise relations, management, leadership, financing, multi-unit growth, international growth, franchise development, social media and more." March 1-3, World Trade Center, Mexico City, Mexico. "The International Franchise Fair is the meeting point of Mexican and foreign companies seeking an investor to expand their brand, and business entrepreneurs seeking to invest their money and time." April 3-6, Las Vegas Nevada. "Join us for the 18th Annual Multi-Unit Franchising Conference! This is the only event of its kind that focuses on the critical concerns of today's franchisees. This conference is designed to help you identify ideas, take action, and create successful growth. *This conference is reportedly booked through 2021. May 7-9, The Mirage, Las Vegas, Nevada. "Franchise Times’ Annual Franchise Times Finance & Growth Conference is franchising’s premier franchise lending and dealmaker’s conference." May 6-8, Washington, D.C. "Mark your calendar! This symposium is a "must attend" event for all attorneys interested in franchise law, in-house counsel, franchise CEOs, franchise development and sales executives, franchise legal and compliance officers, paralegals, franchise administrators, franchisees interested in learning more about the legal and business aspects of franchising, and all others concerned with franchising's legal, regulatory, and business issues." May 8-9, Washington, D.C. "Mark your calendars for the 34th Annual IBA/IFA Joint Conference at the JW Marriott in Washington, DC." May 30-June 2, Javits Center, New York, New York. "The largest franchise show with plenty of useful and interesting features for all visitors. Whether you are looking for free, impartial advice, 121 appointments with funding or legal experts, want to find out about franchising your business, or even chat to existing franchisees across different industries—this show has it all." May 31-June 2, New York, New York. "Join thousands of entrepreneurs and future business owners at the International Franchise Expo, the largest franchise expo in the country. Meet face to face with over 400 proven franchise opportunities. Every industry. Every investment level. Full-time and part-time." June 19-20, Atlanta, Georgia. "The 2018 Franchise Consumer Marketing Conference is two days of discussion focused on topics of importance to franchise consumer marketers today. You'll network and learn from the franchise industry's best and brightest marketing executives."